Intaglio Solutions (Complete IT Training Institute) is a Red hat Training partner offering training in Red Hat linux in Delhi. 9900+ Student have completed RHCE Certification. We have trained 25000+ students in RHCE, RHCSS, RHCVA, RHCA, Shell Scripting. We are conducting RHCE Exam in Delhi from last 8 Years. 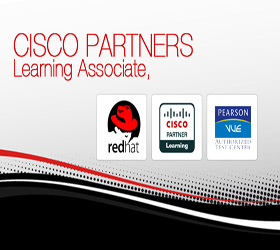 We are the first Red Hat Training Partner to start Red Hat Linux Training in Delhi. Intaglio Solutions is the only Training Institute in NCR where RHCE, RHCSS, RHCVA exam are being conducted every Month. We globally specialize in training for Microsoft, Redhat, Cisco, Oracle, comptia, citrix, checkpoints, and various certifications. 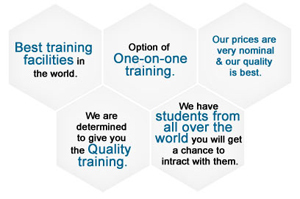 The Training methodology at Intaglio Solutions is unique. Our focus is on hand-on, practical training. We have developed detailed labs designed to train the students to implement the technologies rather than just learning about them. Example:- First we will cover 2 topics then we go for hand-on practical's. Once you will be familiar with those topics we will start with next topics. After finishing a module we will give you real time scenario to perform. We want to connect a student with the real-time environment. Where he will be working after finishing with the training. We provide RHCE, RHCSS, RHCVA, RHCA, MCSE, MCITP, CCNA, CCNP, CCIE, PHP, Scripting, .Net, JAVA, ORACLE Training in Delhi through company owned center network. One student will get one desktop or server for practical's in Every Class. Our centres are exclusively designed for a high end experience to people from around the world . We are offering RHCE RHCSS RHCVA Shell Scripting CCNA CCNP CCIE JAVA .NET PHP SEO boot camp trainings in India. Intaglio Solutions to be among the 5 most admired Training brand in the country.